There was no unveiling ceremony with this installation. 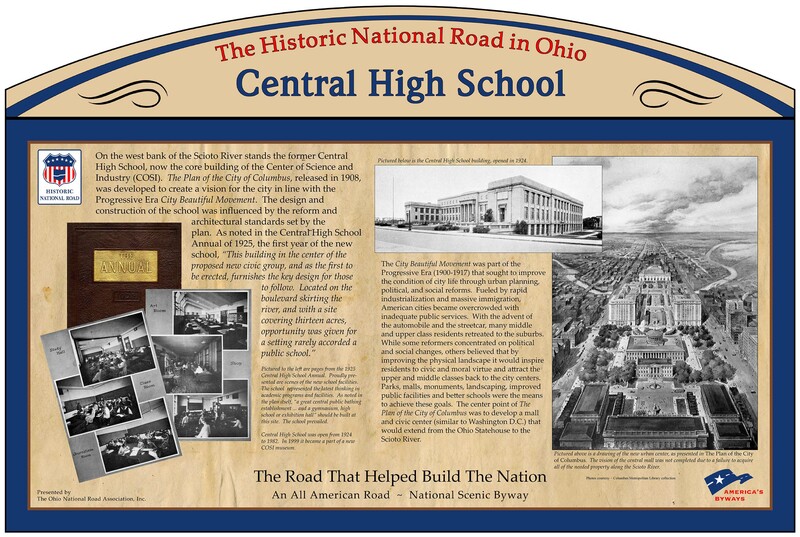 Shown is the Central High School Ohio National Road Interpretive sign which was installed at the SW corner of the Broad Street Bridge. The street address is 303 W. Broad Street Columbus, OH 43215, just beyond the entrance driveway to Genoa Park at the intersection of Washington Blvd. and US 40/Broad Street. 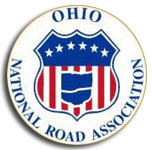 Note: This sign is co-located with the Broad Street Bridge Ohio National Road interpretive sign.